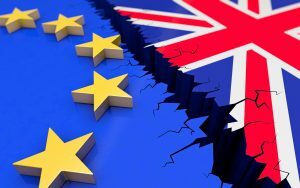 COBA, the UK multichannel broadcasters’ association, has once again sounded the alarm on the likely impact of Brexit on the industry and has called on the government to seek an “ambitious” deal on broadcasting before companies are forced to activate their contingency plans. Speaking to the parliamentary committee on exiting the EU, COBA executive director Adam Minns said that a ‘no deal’ Brexit would put the future prospects of the £1 billion industry at risk by focusing broadcasters to restructure their operations to continue broadcasting in EU countries. Minns took the opportunity to point out that the international broadcasting business had grown by 50% since 2011, double the rate of the rest of the UK digital sector since 2011 and faster than growth for the creative industries in general. He said this growth would be put at risk if the UK is unable to offer new entrants or incumbents a licence to broadcast to EU countries. COBA also maintains that over the medium to long term this will damage the critical mass of the UK broadcasting sector, with a knock on impact to parts of the supply chain. The organization said that companies in the sector would need to activate their contingency plans within months and in some cases within weeks if no deal is in sight, with EU markets accounting for 45% of exports in digital services. “The Government has told us what is off the table, but it has not set out the type of arrangements that it wants to secure. We know the Government cannot promise a deal, but it can promise to fight for arrangements on broadcasting that are ambitious, and it can give industry confidence by explaining what that would look like,” said Minns. COBA has previously criticised the government white paper on exiting the EU for providing little detail on the type of arrangements the UK is seeking in its negotiations with the EU on broadcasting and has warned that broadcasters cannot wait until the exit date of March next year to activate their plans. Earlier this month, the organisation called for “urgent clarity” on whether there would be a post-Brexit transition period that will retain the status quo for broadcasters licensed in the UK.